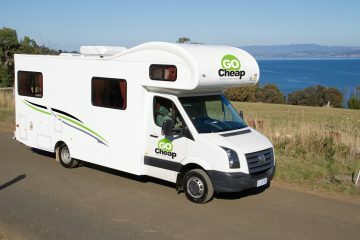 Search, compare and book for Campervan Hire in Hobart. We Guarantee the Best Rental Prices in Tasmania - if you find cheaper, let us know! 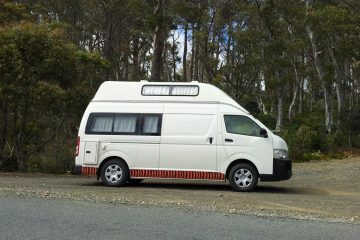 Campervan & 4WD Rental Hobart from $29 Per Day! Looking to Hire a Campervan on the Hobart? Hobart is another small Australian capital city that is slowly-but-surely coming alive. Indeed, Hobart is essentially Australia's second major city and this is evident in the old-style architecture of the city. Tasmania is often overlooked by young travellers, which is a shame because the natural beauty of this island is as incredible as any place. The azure-blue waters of the East Coast, with its white sandy beaches wouldn't be out of place in North Queensland. While the inland forests and colonial charm of Launceston are truly unique only to this precious corner of Australia. We truly recommend Tasmania as the perfect campervan destination. 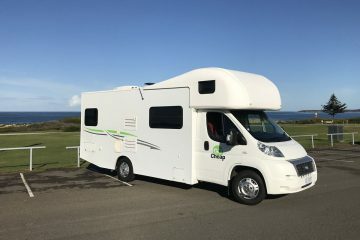 Compare Campervan Hire offers fantastic value for your next campervan rental. 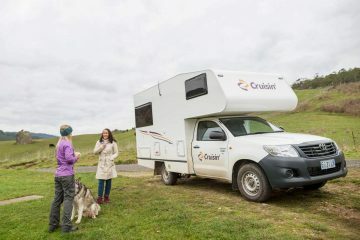 Why not grab a camper or 4wd for your next Australian holiday? 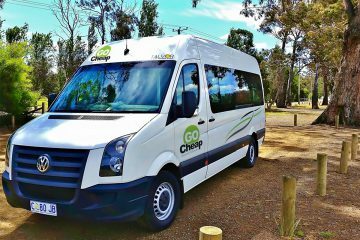 With 8 great locations around Australia, Compare Campervan Hire is your number One choice for rentals! There is so much to of Australia to see and so many ways to see it. Today, even the most remote sections of this vast continent are accessible, particularly to campervans. For some, exploring Australia will mean touring the main highways and staying in motels. 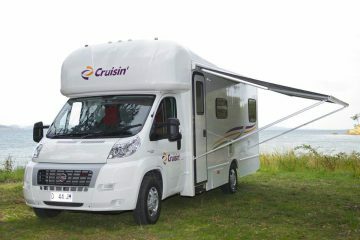 Others will tow their accommodation with them in a motorhome hire vehicle. Others will opt for a campervan rental with sleeping and cooking facilities, and yet other group will choose to be the true adventurers, will load a tent on top of the 4x4 hire and go bush. In all cases, some careful planning will enhance the journey immeasurably. 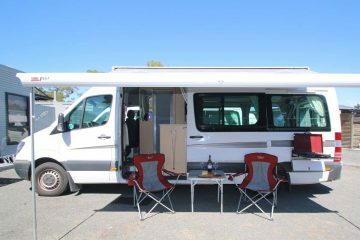 Since driving conditions in the outback vary greatly, you should always consider the right campervan hire Hobart for your travel. 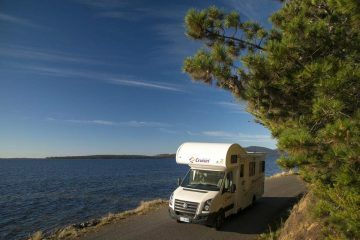 Campervan rental are the best when it comes to exploring Hobart. Check out our best pricing and book your travel with us. We provide the best Hobart hire pricing in Hobart for budget backpackers in Australia. A visit to Tasmania is not advised for the indecisive traveler, who will be faced with the mind-numbing list of choices of things to see and do. Australia's smallest state has it all. 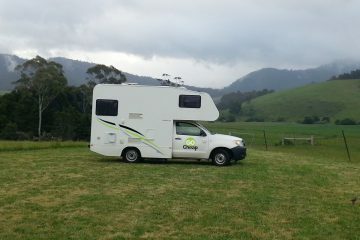 And the best way to explore Tasmania - hire a campervan or motorhome of course! Tasmania is blessed with countryside which changes from rolling hills in the north, reminiscent of picturesque English counties, to the rugged majesty of its West Coast. It has cool untouched rainforests and wilderness where you can walk for days and never see another soul. The state is quite compact, taking just two and half hours to drive by campervan from north to south; many of its attractions can be reached without having to travel great distances. Tasmania is sparsely populated with just over half a million people in an area approximately the size of Ireland. In the largely undisturbed countryside, much of it reserved as national parks, are numerous opportunities to see animals in their natural setting. It is common for wallabies and possums to feed around the country cottages where you may be staying in your motorhome. Tasmania is also home of the Tasmanian Devil, extinct on the mainland, an animal usually about 30cm (12 inches) tall, although males can grow to 90cm (35 inches) and weigh up to 90kg (200lbs). The Tasmanian Devil, named because of its fierce appearance, is shy, but with luck you may see one feeding at night in the remoter parts of the northwest and central regions of the island. The Tasmanian Tiger is believed to be extinct, although sightings have been reported occasionally in remote regions. Australia's second-oldest colony, Tasmania retains many fine Georgian buildings and largely unchanged village streetscapes. Many colonial cottages provide accommodation, acquainting tourists with the history of the state. 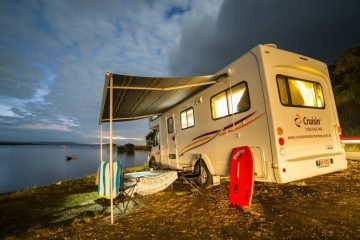 There are also numerous free camps dotted around Tasmania, as well as plenty of cheap caravan parks to park your campervan for the night. To complete the holiday experience, dine at the fine restaurants which concentrate on local ingredients such as Tasmanian smoked salmon, King Island Camembert and freshwater and saltwater fish. So self-contained is the island that Tasmanians refer to other Australians as "mainlanders" or remind them that when they visit that they come from "Tasmania's northern island." Above all, Tasmania does everything to cater to tourists' needs. The state is known around Australia as the Holiday Isle. 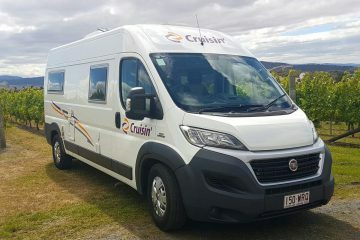 Most campervan and motorhome rental companies are based in Hobart, however there are a few smaller options available for hire in Launceston. Yes, you should visit Hobart..
Hobart is confused by simple concepts such as time and place. It knows that it is the 21st Century, but insists on giving the outward appearance of a 19th Century city although the occasional luxury hotel or high rise building breaks the skyline as a gesture to modernity. The population of Hobart knows that it lives in the capital of a state but insists on maintaining the friendliness and intimacy of a country town, where everyone knows everyone else and nothing is rushed. 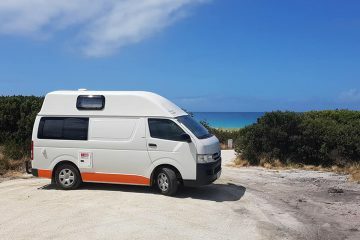 If you want to hire a campervan or motorhome and explore Tasmania, you are best to try the rental places in Hobart as there will be far more choice here than anywhere else. The climate is mild in summer but decidedly chilly in winter, and is the only state capital in Australia that has any winter snow, albeit rarely. Above the city is Mount Wellington, its summit often hidden in cloud or dusted with snow, while the majestic River Derwent divides the city from surrounding green farmland and outlying suburbs. Hobart's landscape more closely resembles the European countryside than any other part of Australia. If you're thinking about renting a campervan or motorhome in Winter, bring some really warm clothes. In summer, you'll be very comfortable sleeping in a camper. Hobart, Australia's second oldest city, was started only 16 years after Sydney, with the intention of thwarting French designs on Tasmania. Governor Macquarie, when he gave instructions to build the settlement on the River Derwent, wanted to avoid repeating the chaotic street plan of Sydney so the city center is laid out on a grid. When prisoner transportation ended in the Australian colonies, Hobart became a backwater. Even today, Australia's second city is the country's smallest state capital with a population of just 218,000 people. However, being bypassed by progress has meant that Hobart retains much of its Georgian elegance and heritage. Tasmania is a natural wonderland, with an abundance of unique flora and fauna from the picture-perfect beaches on the Bay of Fires to the rugged, wild west coast. 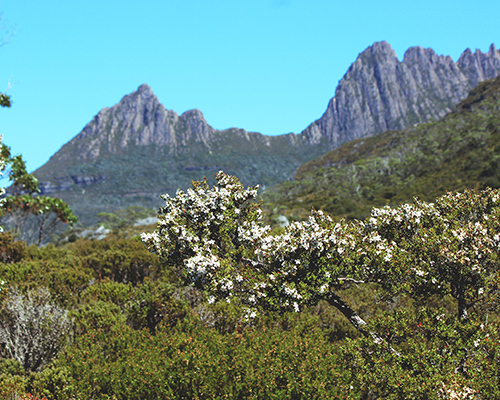 Cradle Mountain, in the state's central-west is a fairly easy day hike for fit travellers and it really does showcase the best of Tasmania. Lush bushland and wombats abound - just be prepared for a cold snap when the wind changes! 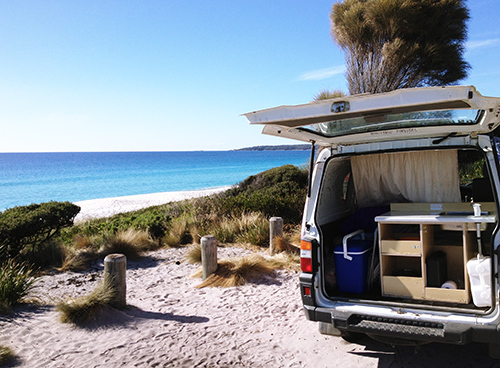 Hire a Campervan in Hobart from $29 Per Day and explore Australia's Apple Isle!